An innovative, challenging and education puzzle game. 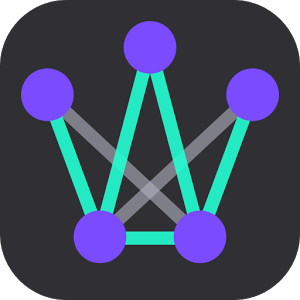 Train your brain to keep it sharp and agile by working through the varied puzzle challengines inside the app. New York, Los Angeles, Chicago, Santa Ana - city or country – see the outside weather right on your s5, s6 wherever you are! Works great with Samsung Galaxy S3, S4, S5, S6, Grand Prime, Note 2, Note3, Note4, Core Prime, Grand Neo Plus, Mini, A5, J5, Tab3 7.0, and many more! Simple TAPING game . 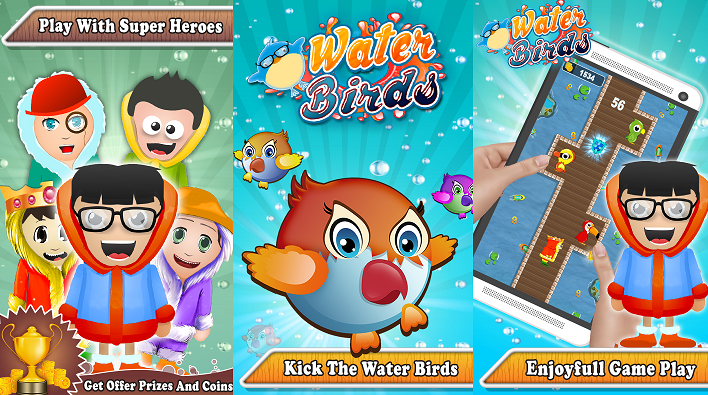 In this game you have to kick the birds as fast as possible . Many powers are also there to move you faster, But again the roller speed keep increasing as game progress. This game has 5 different characters. 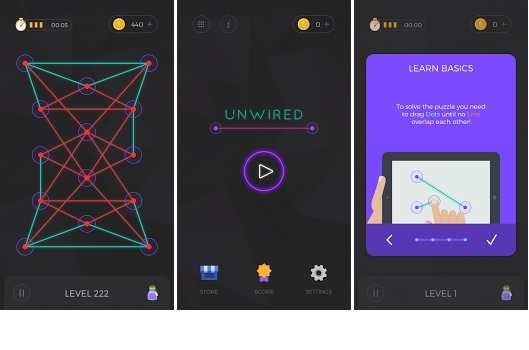 unWired is a simple but challenging game that tests and developes your depth and spacial perception skills. Play this game and you will see how to be a modern light emitting diode (LED) trapped in a reactive ion etcher. 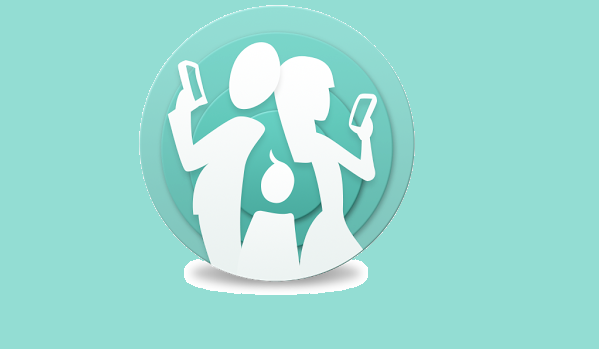 Keep your family safe with this seciruty app that monitors locations, status and allows private message and media sharing. Well, with over 2 million apps on google play, proabably more than three quarters of them being games, why bother with a puzzle? 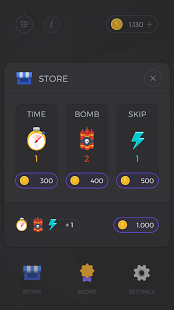 You have your RPG style games, your basic hack and slash, simulators ranging from space ship combat to dragon simulators to tycoon simulators, the endless types of various real time strategy starting from dinosaur combat all the way to futuristic robot warfare. So, why do a review of a puzzle, out of all things? This is a special kind of puzzle. 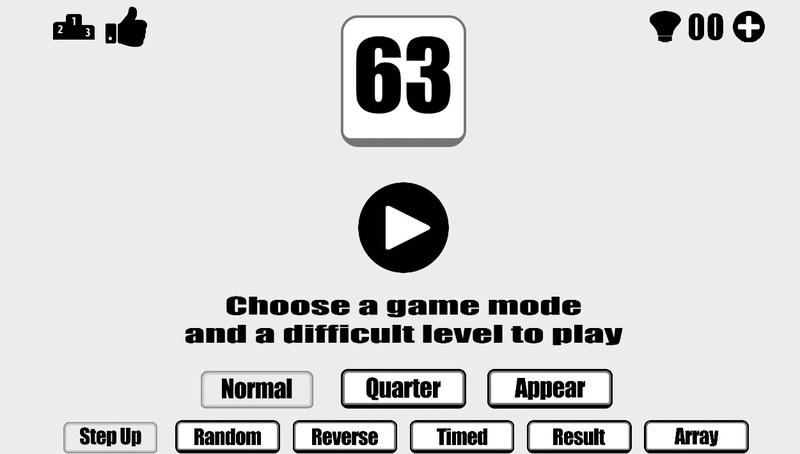 The app, Find Sixty Three, has one thing in mind, to help the user or player to train his or her mind. 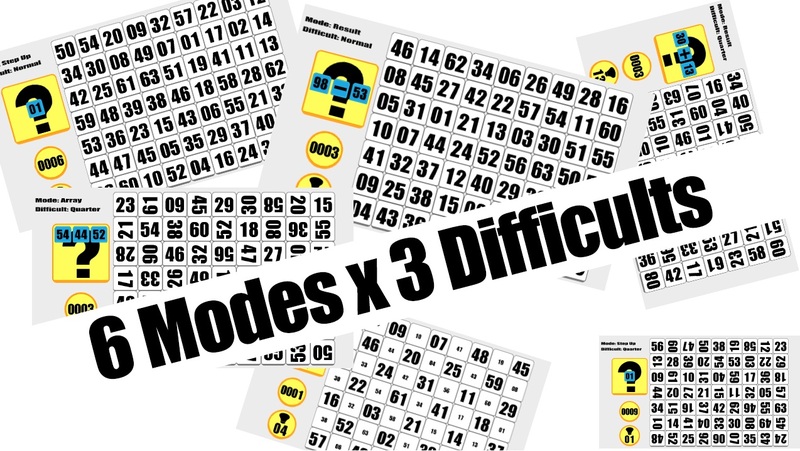 The puzzle is very varied, with many different modes of play. However, each one is short in time and you must think furiously to solve it, in each mode you must think in different ways! 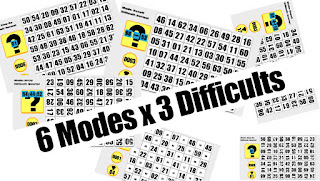 In some of the game modes, you have to find number in specific orders. 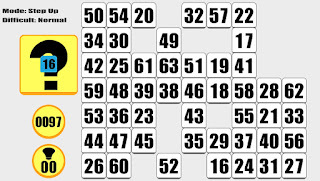 In others, you have to progress by using the numbers in specific combinations or do specific math operations to reach the intended goal, 63. 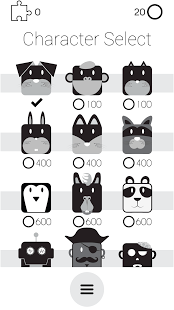 However, in each of the modes, the goal is very clear and the time is short, so the player must make a real effort. And that's what makes it so fun! 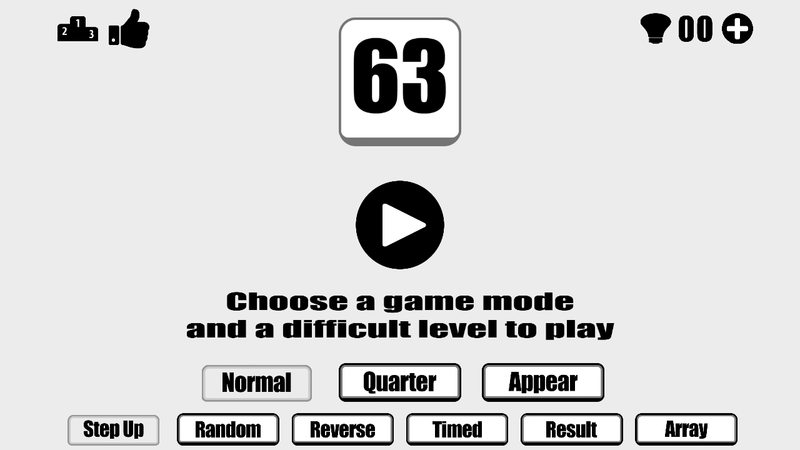 With different modes of play, random placing of numbers and the three difficulties of play, Find Sixty Three is really a game with replay value. You can always play the same mode of game again and again and the challenge will be slight different. People never get bored with this game. Guaranteed. So, what are our conlusions? 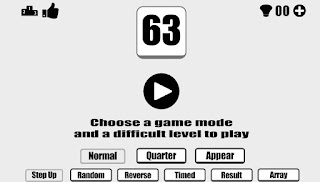 With a game that is varied, fast and furious, very challenging and giving real value for your time, because the brain is the most important muscle (in a manner of speaking) we own that we never train, Find Sixty Three is a game we must have. 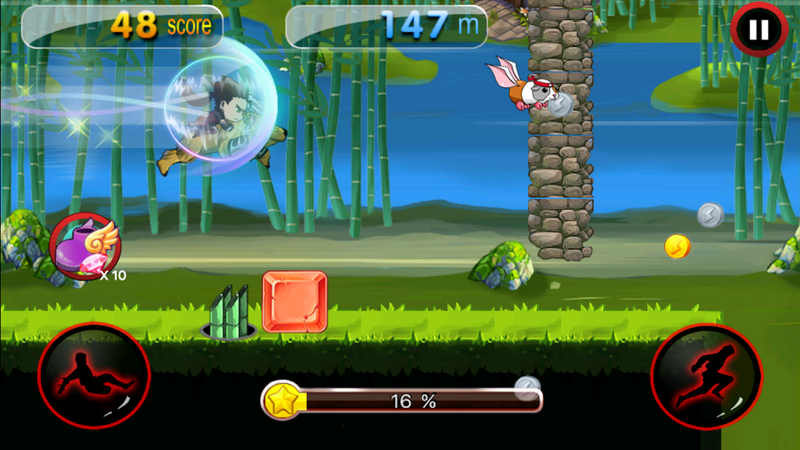 Jumpy Jumper is another game by the CREABLO studio, following on the success of its predecessor, Wonder Wally. 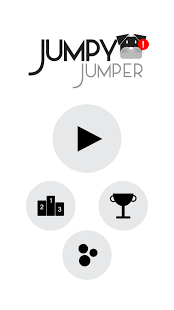 Jumpy Jumper is a jump game, a game that makes the player become a master jumper. 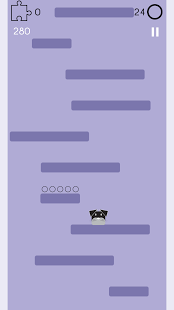 Using black and white characters in an ever changing environment, the player must use the seemingly simple choices of jumping up or bouncing on the walls to advance and reach the top of the level. The game is far from easy, requiring a quick eye AND a keen mind to plan ahead. During the game, the player also gets to collect puzzle pieces in order to unlock more characters and various types of prizes. Experiencing this game may be akin to meditating, just letting the mind and thoughts drift while our fingers and eyes control the characters on their way up. 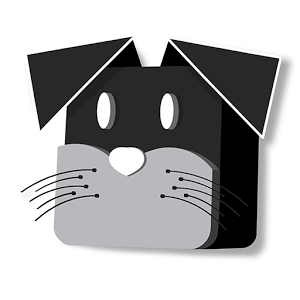 Simple but challenging, hypnotizing and calming, monochromatic characters in a colorful world, this is Jumpy Jumper. It seems our Android smartphones can help every facet of our lives, from the way we communicate, the way we play or enjoy our selves by watching videos or listening to music to the basic security of our family. In fact, there is almost nothing our smartphones, with the help of the right apps of course, can't help us. 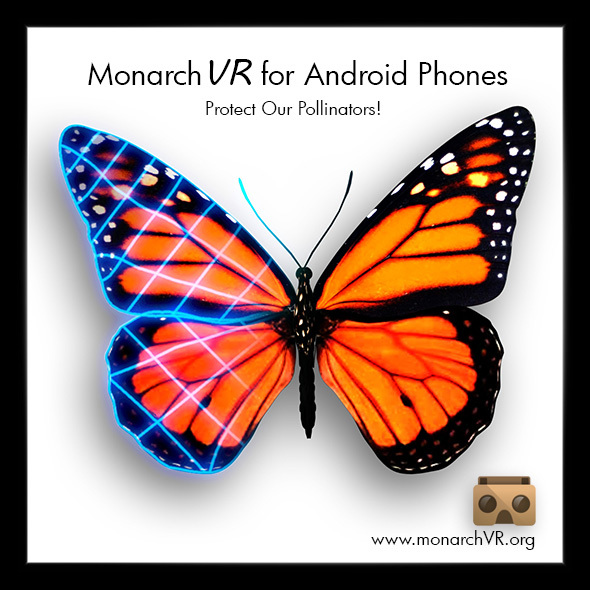 Which of course makes us VERY happy to come across an app that addresses something that is VERY important to us, yet seldom gets the attention it deserves. We are talking about the education and advancement of our kids, of course. It is the sad truth that while our younger generations are smarter than their elders, yet they are less educated and know a LOT less than the generation before them knew. What can we do? Young people are glued to screens of various sizes from the crib, from smartphones to tablets to TVs to smart watches to cinema. It has become their favorite and almost only way to look upon the world and learn things about. So, some smart people at Meta4 Solutions asked, why can't we use that fixation to put some knowledge and understand into young peoples' heads? 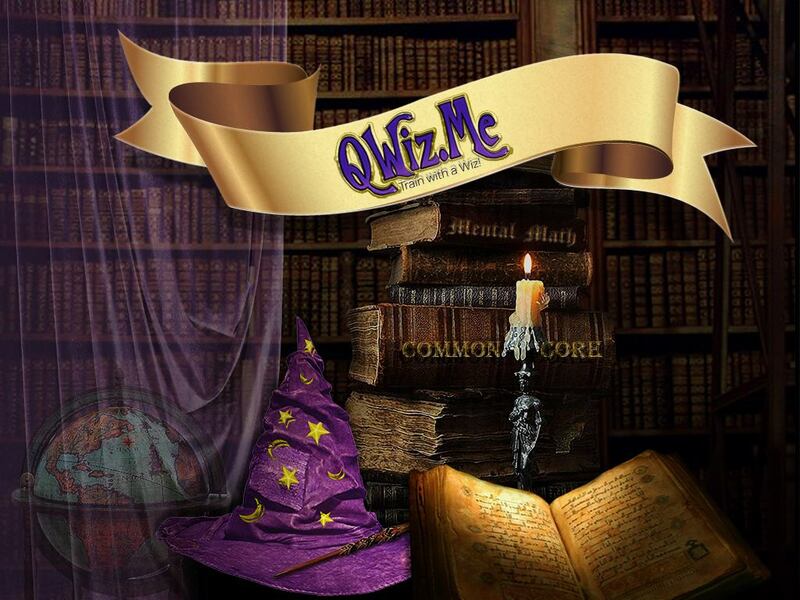 Well, let's introduce QWiz.Me!, an app that lights a candle of knowledge in front of people of all ages, though of course the young are its main users. 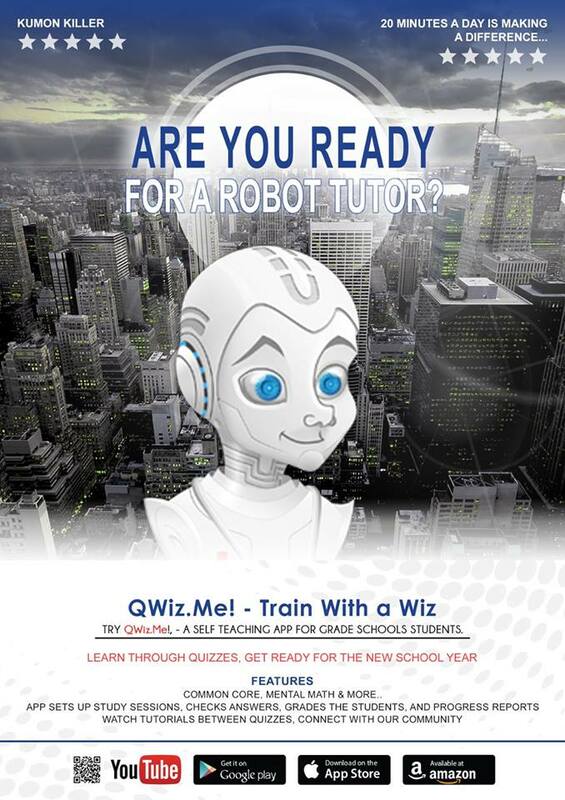 The app contains quizzes, tests, links to tutorials and more about a wide variety of subjects, from Math to English and more. 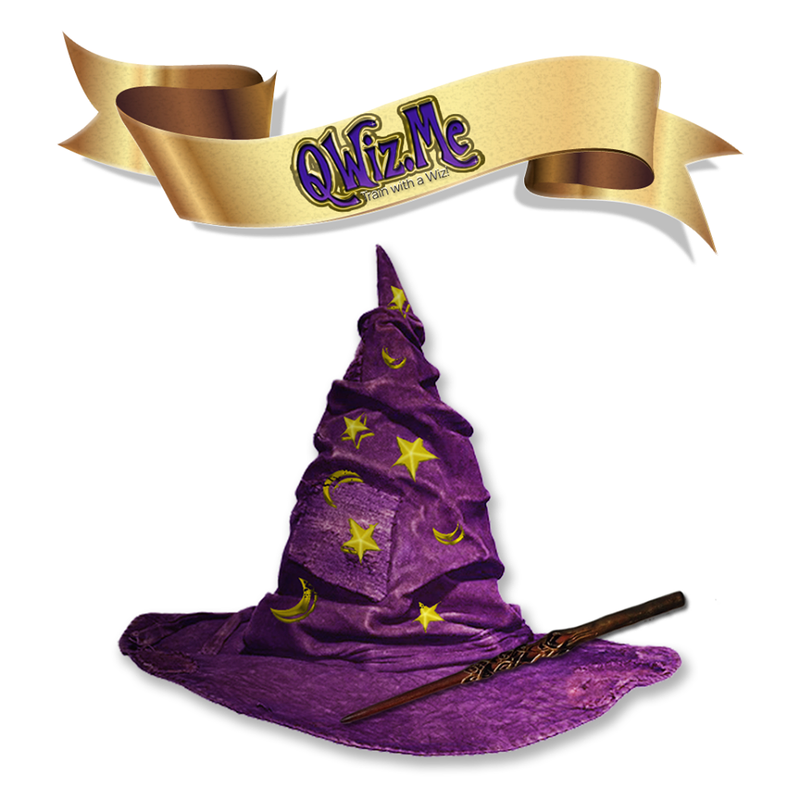 The user takes quizzes, gets to see and check his or her answers and then go on to increasingly difficult tests. 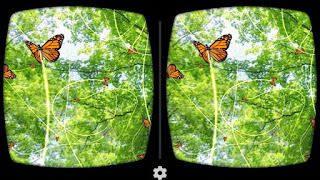 The app is VERY user friendly and beautifully designed, all to make the learning experience all that more pleasurable. 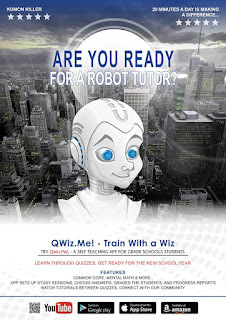 In fact, just using the app for fifteen to thirty minutes a day is guaranteed to help the user along in his or her studies to the material in hand. Naturally, there is an extensive array of reports, from standard status report to compartive reports showing how the user advanced from the beginning and how he or she is doing compared to the majority of people his or her age. Turning learning into a fun and rewarding experience on the platform young people love the most, our own smartphone's screen, must be ranked among the better uses anyone anywhere can think to put his or her smartphones to. 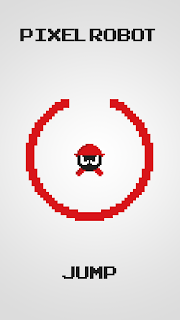 For many people, one of the main uses they put their smartphones to is gaming. Let's face it, making calls, sending and receiving messages was possible more than ten years ago with those old, bulky, indestructible Nokia phones. But these days, with those powerful, connected and graphic capable Android smartphones (yeah, the other kind too), gaming has risen to new heights. 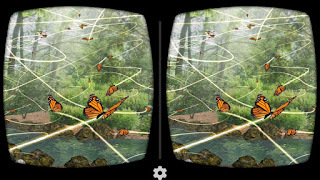 And the new game we present here is a great example to everything that is good in Android gaming. First of all, lets describe the game itself. Bus Simulator Racing is a very unusual racing game. You do get to drive a vehicle as fast as possible but this is where all similarity ends. You drive a double decker bus through some fantastic English landscape and you have to get your students to school on time. The game is far from simple or easy. 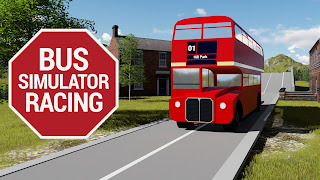 Universal Games has put in a real effort to make driving the bus as realistic as possible, which makes for a great driving experience, but one that is also fairly hard to master. Your bus will drift, skid, slide and do all sorts of things a REAL bus would do when driven as extreme speeds on uneven roads. 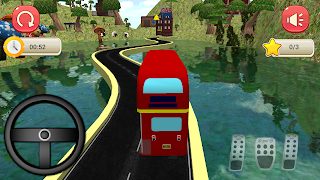 You, the player, must show some real driving skills in order to drive the bus safely. You've got to develop a feel for the bus, for its performance and the roads is must travel on. Beware of brides, because skidding over them may well cause your bus to plunge into a chasm, ending the game. But of course, this difficulty is what makes the game so fun. The producers of Bus Simulator Racing have some very smart decisions that result in a game we are proud to showcase. 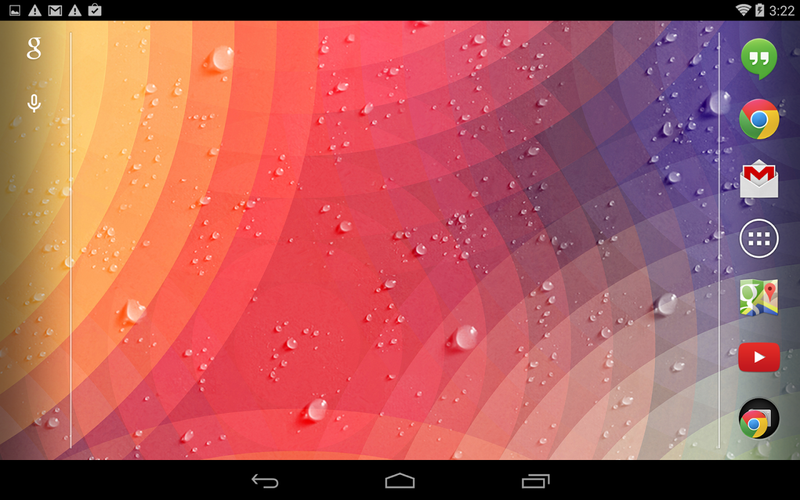 First all all, the graphics are gorgeous, even on mid tier devices. 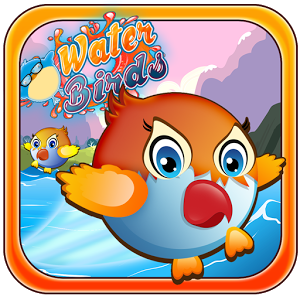 Everything is crystal clear, painstakingly drawn and colorfully rendered, making this game a treat for the eye. Of course, using tilt controls instead of those idiotic virtual joysticks also goes a long way. Graphics, realistic driving experience, tilt controls and of course global ranking where everyone can compete with players around the world and important but the thing we actually liked the most was the lack of violence. In our busy, violent and conflict filled world it is more than refreshing to review a game that is player friendly, does not require killing anyone to win the game and offers players a real positive experience. Yeah, we think you guessed it. We like this game! 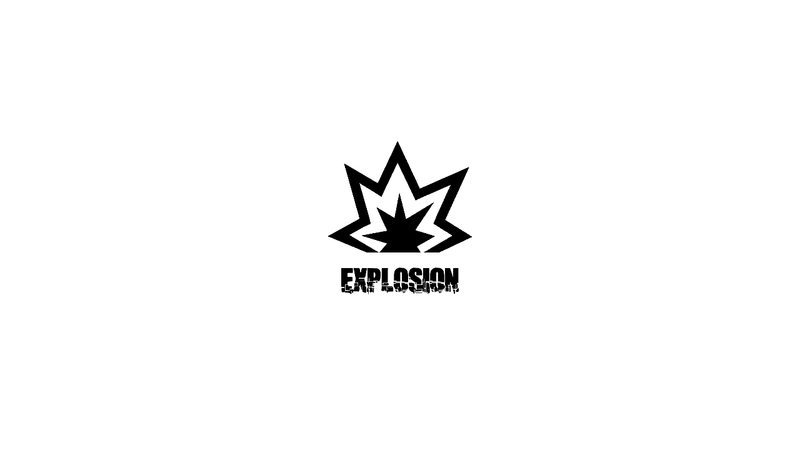 This hot app was released on 2016-02-15. You’ll want to use it on your own phones after you know more. 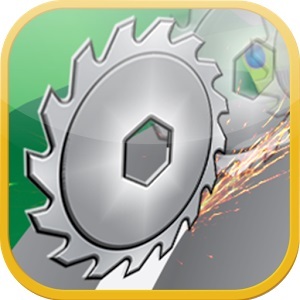 Make your way through many peculiar and challenging levels with the cutsaw. 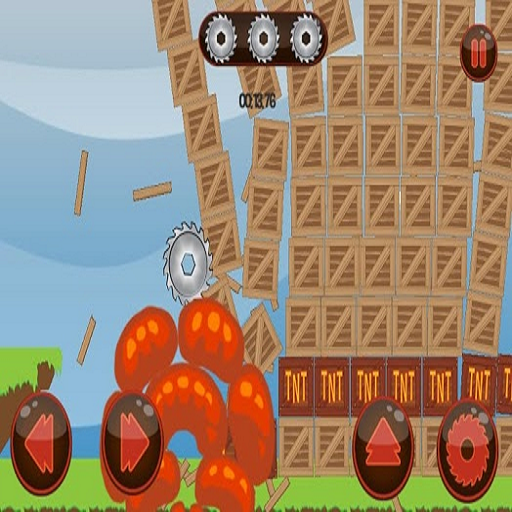 Destroy and cut through oncoming objects and obstacles. See car in half cool!!! Fun & crazy game. Enjoy! We at Android Review Center love our Android smartphones because of their versatility. With the right apps, we can make our smartphones serve almost any function, from a security device for our loved ones, to a mobile office and of course, a mobile entertainment center. Of course, since we get to see hundreds of different apps, we have come to like apps that have two very specific things. 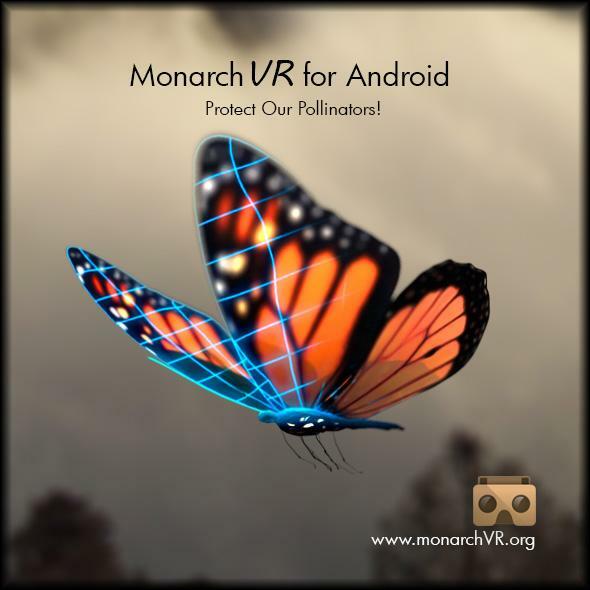 First of all, apps that are original, that look at things in a different way than before and apps that are brand new, that we at Android Review Center are the first to show them to the public. Yes, we are vain. What can we do. 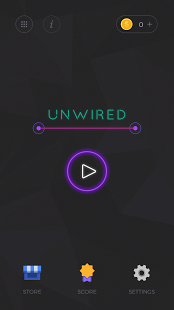 Anyway, it brings us great pleasure to introduce unWired, a brand new app on Google Play. Well, it is actually a game but more on this later. The studio responsible for unWired is 01Gravity, a very professional development house. What is unWired all about? It is a deceptively simple game with simple rules that nevertheless requires deep thinking, an eye for geometries and spacial reasoning skills. 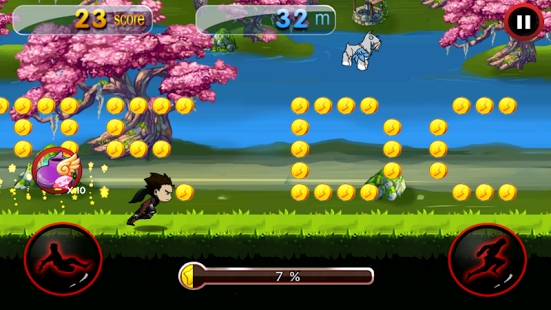 The game is divided into hundreds of levels, or puzzles. Each puzzle is make up of dots and connecting lines. 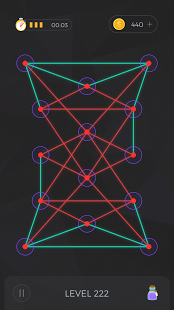 The object of the game is to move the dots around so the lines will not intersect. Sounds simple, doesn't it? Well, here comes the part where the deep thinking is required. 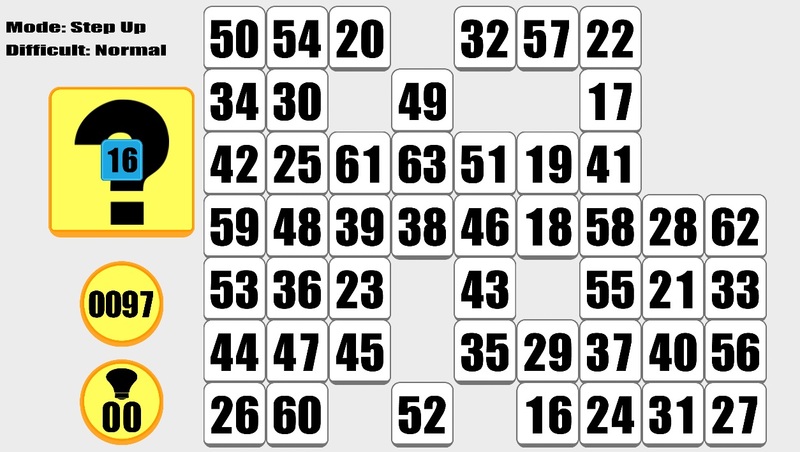 The puzzles become complicated quite fast, and the player must not only think about the dot he or she is moving now, but three or four dots in the future. In other words, the player must carefully plan how he or she is going to continue and not only which dot to pull or move now. To make things even more interesting, the game awards the player for levels solved, the quicker the player solved the level the higher the award he or she receives. 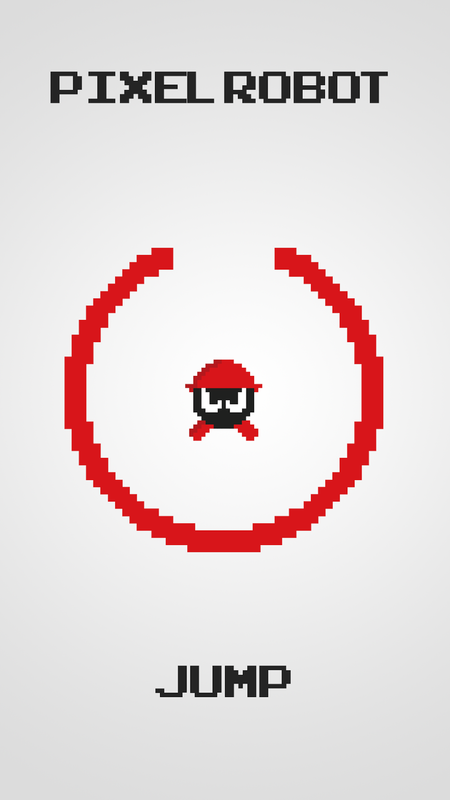 With these awards, the player will be able to blow away dots in the future that hinder solving the puzzle. 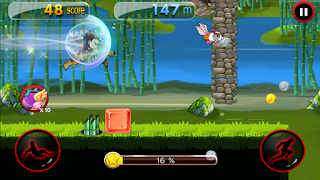 These awards may be critical to solving the more difficult levels later on, so the player must employ careful strategy about their usage. One of the reasons will like unWired is because it makes you think, which in our day and age is quite rare. Not only that, but the game is a great tool for working with kids, the parents helping them develop their minds and their spacial understanding. All in all, a challenging game with beneficial side effects, totally professional graphics and music and a very original idea. Not to mention it is a brand new game! If it wasn't clear before, we'll say it again. We love it! In our days of super complicated games that require time, thought and energy to play, when you have to plan your base, get attacked by other players and have to return to the game on the right time before your power bonus runs out, the simple fun games suddenly get more and more appealing. I CAN be fun playing a game where you compete against thousands of other plays using complex strategy, plans and maneuvering but sometimes we want a simple game to relax, to let our minds meditate by concentrating on something else, something that does not require heavy thinking and planning ahead. Let's face it, if we want to think really hard, plan ahead and play by the rules we might as well live, sleep and remain at work! Anyway, what we wanted to say here is that simple, fun games are sometimes the best. When we return home from work and want a few minutes to wind down, or have five minutes at work to wait for the compilation to finish or the conference room to be clear, whipping out our smartphone and playing our way in a quick and easy to play game can be one of the greatest pleasures on earth. And then we run into the normal problem of how to choose the best, most interesting and fun to play game among the millions of apps and games on google play. The selection is SO huge, finding the right game for us can be quite tasking. That makes android review sites so helpful, because they take it upon themselves to find the right games for you. Well, we've come across a game we think is ideal for those seeking a simple, fun and entertaining game that is also challenging. 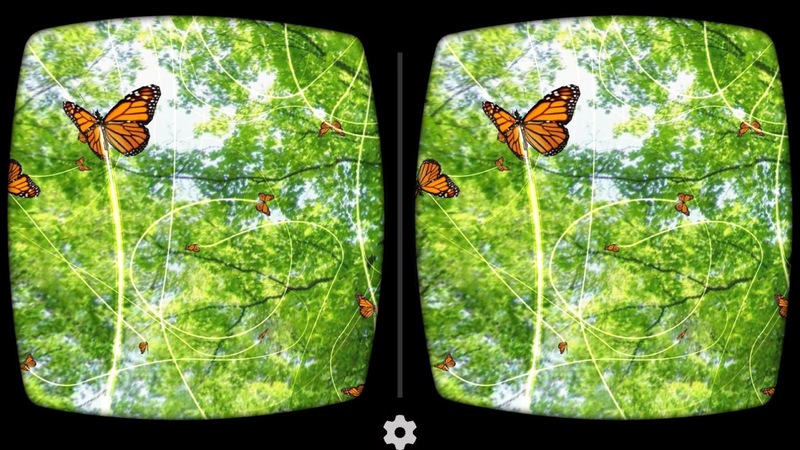 In other words, a game the vast majority of Android people would love. 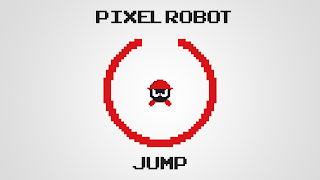 Pixel Robot Jump Sage is deceptively simple, yet fun and challenging. 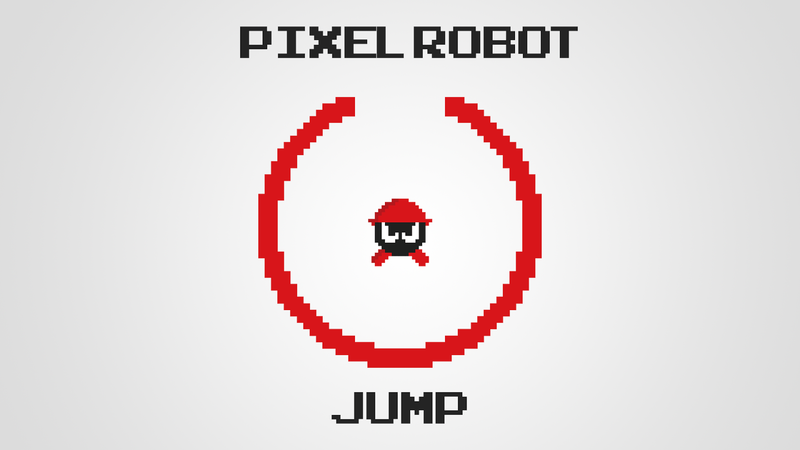 The player gets to control one of three robots and has to make the robot exit the circle by jumping out, using a small break in the circle without touching the circle proper. Now, this takes some practice and it gets quite difficult on higher stages. 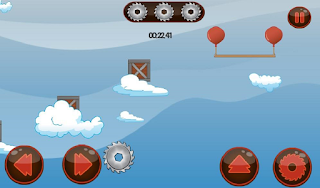 The player must hone his or her instincts and also plan a head to be able to pass on the more difficult levels. 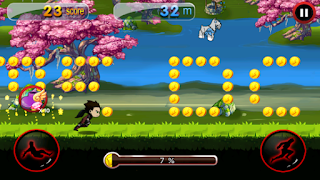 The game has great graphics, pixel oriented textures and scenes that will make every enjoy the game. In addition, a lot of attention has been put on the animation and the game's overall feel. 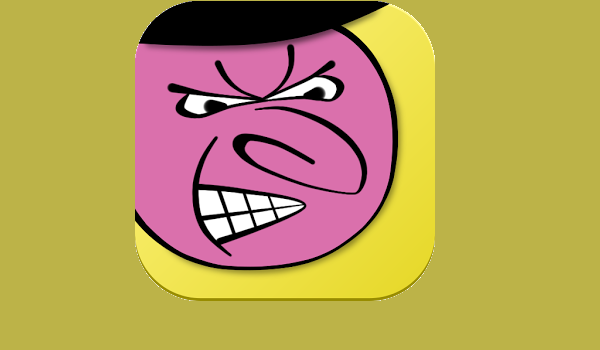 This creates a totally professional game even though it is available for free on google play. To sum things up, Pixel Robot Jump Sage is a game one can play on the go, without lengthy preparations, planning or strategy. 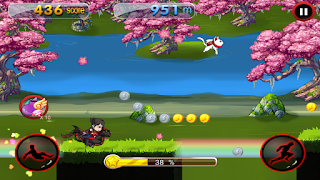 Just take out your smartphone and play it right away, enjoying the music, graphics and the customized touch controls. 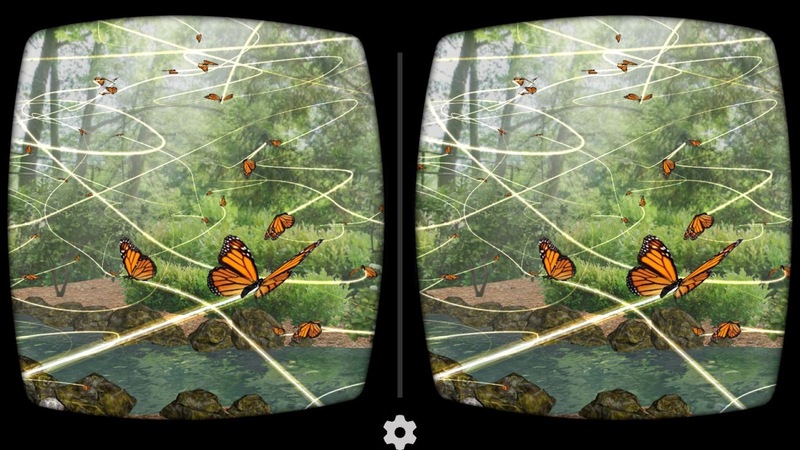 This game is a rare jewel among the multitudes of games and apps on google play.